Clients of our Wisconsin Chimney technicians often assume the best time for a chimney cleaning is in the fall. Reality is, chimney cleaning is every bit as ideal in the spring following a rough winter. Across the north side of Milwaukee, including West Bend, Richfield, and Germantown, the winter of 2014 brought harsh deterioration with little reprieve from extreme snow and ice conditions. The toll taken on Milwaukee chimneys from an overabundance of winter fireplace use has been extremely damaging to the brick as a whole. In addition to preferring the natural light and warmth of a fire, households like to save on costly energy bills by having their fireplace serve as a central source of heat. The constant burning of wood causes a substantial buildup of creosote, releasing emissions which cause harmful corrosion in the brick. At Wisconsin Chimney, the end goal for YOU and YOUR chimney is to prevent expensive repairs. Delaying a thorough cleaning will not keep out the excess moisture or make smoke stain removal any easier. It is essential for the longevity of your home and chimney you properly eliminate the corrosion caused by creosote emissions. 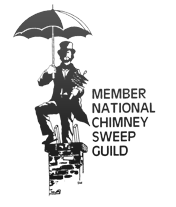 In order to keep out moisture and prevent expensive repairs, a professional chimney sweep should always pinpoint the exact future of your chimney. The technicians at Wisconsin Chimney are career craftsmen trained to keep your home beautiful at unbeatable prices. Your location in Wisconsin is never an issue for our chimney repair experts, nor is any chimney problem. 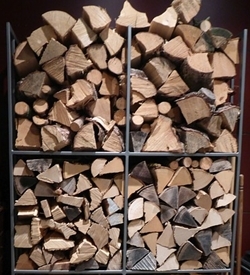 The variety of situations we are called to handle involve West Bend chimneys needing new flue caps, Richfield chimney inspections and repairs, and Germantown tuckpointing. After a spring cleaning from the Milwaukee area’s chimney professionals, your home will smell better this season for a more satisfying home overall. 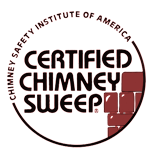 Contact our chimney cleaning technicians this spring for a thorough chimney inspection.